A medical grade chemical peel is an excellent way to restore your skin’s natural glow while improving any signs of aging, pigment changes, or acne scars at the same time. This skin-resurfacing procedure is done using a chemical solution that removes the top layers of skin. A medical grade chemical peel uses a higher amount of acid at a pH level that aims to reach the deepest layers of skin. Once the skin grows back, you will be left with a smooth, youthful appearance. The idea behind a chemical peel is to exfoliate the top layers of skin and promote lymph flow in order to cleanse the derma. 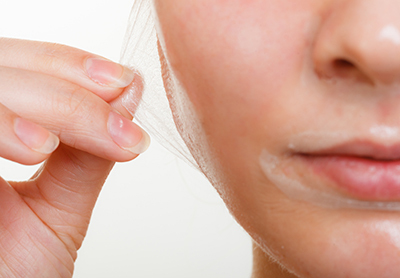 Chemical peels are ideal for those who want to reduce fine lines and wrinkles, skin discoloration, and scars. It is most commonly done on the face and it can be done in conjunction with other cosmetic procedures or on its own. Here at Euro Image Med Spa, we strive to offer our patients a wide range of skincare solutions utilizing state-of-the-art technology and the latest techniques in the industry. Whether you have skin concerns as a result of aging or some other factor, we can help. Our team of skincare professionals are committed to providing you with the highest level of service and are happy to answer any questions or schedule an appointment for you today. Over time, our dead skin cells do not slough off as easily as they did in the past, which can result in the skin appearing dull and ashy. This is where chemical peels come in. Chemicals peels are a very popular non-surgical cosmetic procedure used to peel away the top layer of skin in order to improve wrinkled, uneven, pigmented, or sun-damaged skin. Also referred to as a superficial chemical peel, this option will remove the outer layer of skin and is ideal for those suffering from fine wrinkles, acne scars, uneven skin tone, and dryness. Some patients opt to have a light chemical peel once a week for up to six weeks for best results. A medium chemical peel will remove skin cells from the top layer of skin (epidermis) and upper part of the middle layer of skin (dermis). This chemical peel can treat more prominent wrinkles, acne scars, and uneven skin tone. The third and most advanced type of chemical peel is called a deep chemical peel. This option removes dead skin cells from the epidermis as well as mid to lower layers of the dermis. If you have deep wrinkles, scars, or precancerous growths, your doctor may suggest a deep chemical peel. To learn more about the chemical peel services we offer here at Euro Image Med Spa or to schedule an appointment, please give us a call today.